Brady's position as manager of James Corbett brought him into contact with films as early as 1894 when he acted as time-keeper in the Corbett-Courtenay contest held in Edison 's Black Maria studio. Brady was involved with the filming of the Corbett-Fitzsimmons title fight in 1897, and the Jeffries-Sharkey contest in 1899. 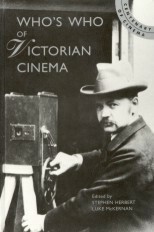 While producing over 250 plays he retained an interest in motion pictures, running the Hale's Tours shows in the 1900s and opening the Unique cinema, Manhattan in 1907. In 1914 he became a founder member of World Pictures (with their famous slogan, 'World Pictures - Brady Made'). He served as president of the National Assembly of the Motion Picture Industry between 1915-1920, and, in 1917, he was appointed chairman of a committee to organise the American film industry for the First World War. His daughter Alice Brady (1892-1939) was a well-known stage and film actress.